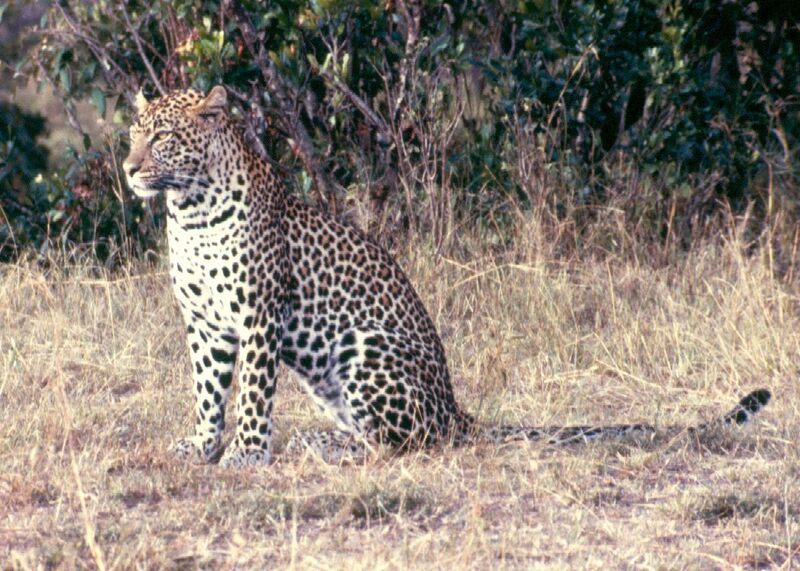 When on safari, finding a leopard is the cherry on the cake. These scarce predators are hard to find as they are very secretive and cunning animals. 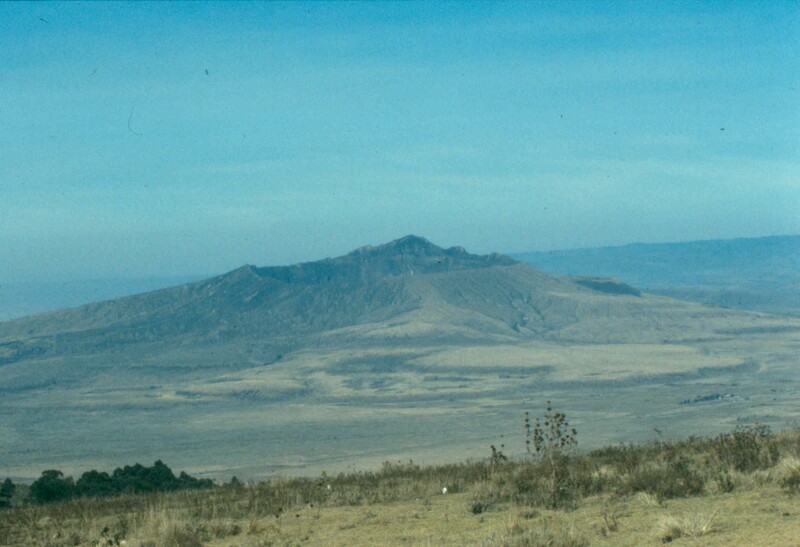 The fact that protected areas are shrinking does not help their conservation status either. Luckily, as you will see, the Kruger National Park (KNP) still remains an excellent place to spot these elusive and beautiful cats. This year our “out of Zimbabwe” travel included South Africa and Botswana where we visited the KNP at the beginning and at the end of our trip and the Kgalagadi Trans-frontier Park in between. Quite a journey (about seven thousand km!) but well worth it. 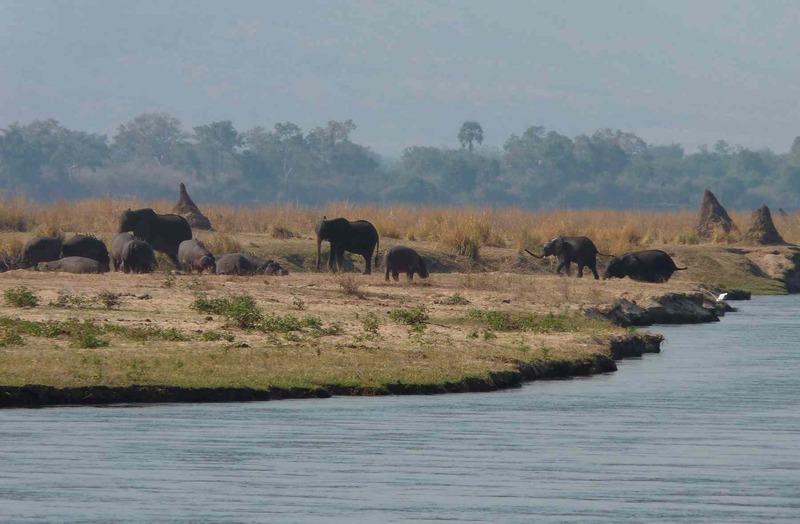 The first visit to the KNP included the northern section as this is the closest to Zimbabwe. 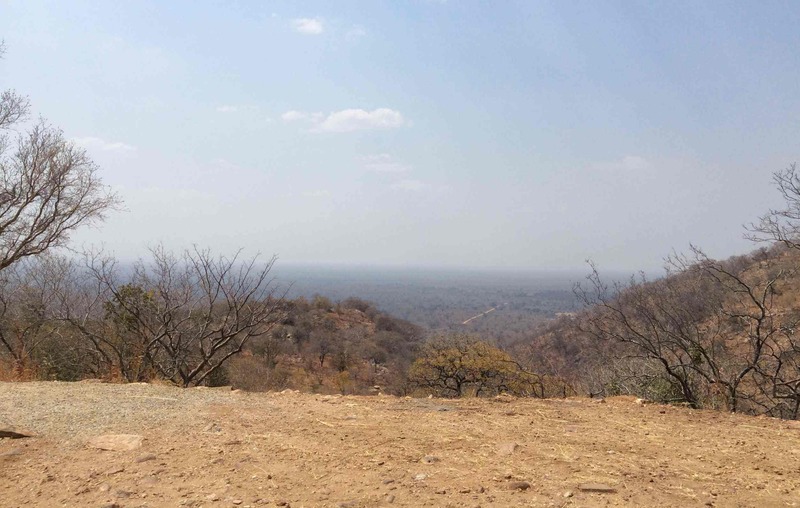 We visited three camps: Sirheni Bushveld camp, Shingwedzi Rest camp and Bateleur Bushveld camp. While we did find other interesting things in Sirheni and Shingwedzi (that I will tell you about soon), it was while arriving at Bateleur that things became really exciting. 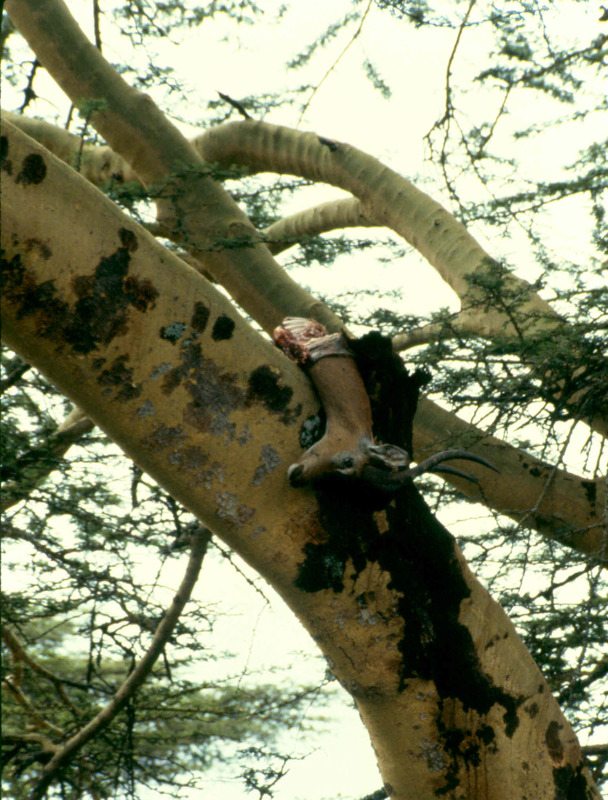 Near the “Red Rocks”, the main attraction near Bateleur, we found a dead impala under a tree. Fellow travellers informed us that a leopard had killed it and that it was a female with a cub. Scared by the vehicles they had left the kill and hid somewhere. We decided to wait quietly and were rewarded. After about an hour we saw a movement up the tree just above the kill and, soon enough, we could see a leopard moving in the thick foliage. A few minutes later it climbed down. It was the youngster that, hungry, started to feed on the impala. The area was very bushy and photography was difficult but it was a good sight. After a while the cub walked in front of us and briefly joined its mother. We had a glimpse of the female that immediately hid again in the long grass while the cub returned to the impala. We waited a bit more but as we still had to check-in at our camp we decided to leave making a note of the site to return later. So, quite encouraged by our find we re-joined the road towards Bateleur camp. We had not travelled more than a couple of kilometres when we heard the alarm snorting of impala and found that a large number were looking in the same direction while calling in alarm! This situation can indicate the presence of a predator. I need to clarify that in the Southern Africa’s more bushy landscapes you need to take all possible signs into account to find game. We stopped and waited and when we saw that the monkeys, guinea fowls and francolins -among others- joined the chorus, our belief that a predator was near firmed up. After a short while we spotted another leopard! It was waking in parallel to us in a direction that would take it to the river, on the other side of the road. The leopard ignored us and it never hesitated once on the direction it was traveling. We watched it walk, still followed by its mobbing retinue but completely unmoved, until it went down the river! Finding three leopards in a couple of hours left us rather stunned and we thought that Bateleur was “the place” to spot leopards. Well, as usual we were wrong! During the four days we spent there the leopards carefully avoided us! However, there was more to come on our return to the KNP later on. On the second visit to the KNP about two weeks later, we entered through the Paul Kruger’s gate and headed for the Olifants Rest camp. 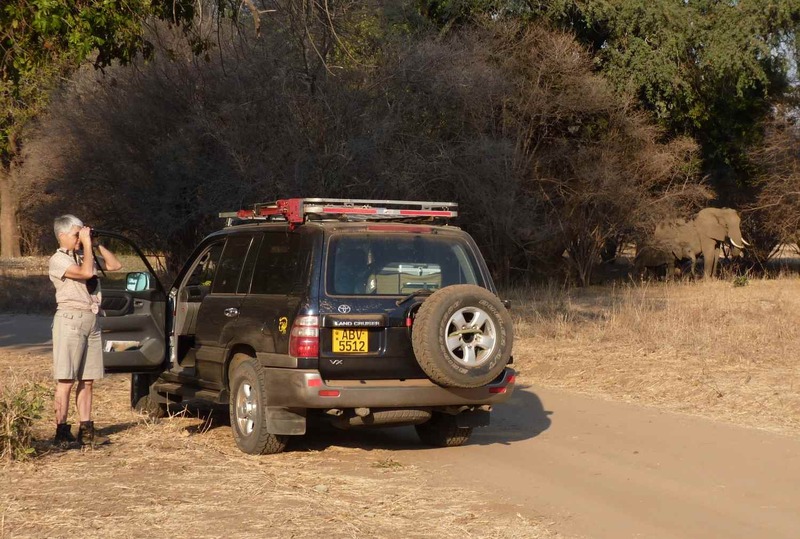 About one kilometre from the gate a bunch of cars marked the whereabouts of a sleeping leopard! As our journey was still long, we left it and continued towards Olifants where we arrived late in the afternoon. Olifants Rest camp is probably the most spectacular of the KNP camps as it is built on a cliff that overlooks the Olifants river, located quite a way below, offering a breathtaking view of the river and its environment. We were fortunate to have booked one of the “river view” bungalows so we could just sit in our verandah and take in the scenery opening up below us! The morning after our arrival, after a “breakfast with a view” we drove towards Olifants satellite camp Balule  and then followed the Timbavati river, an area well known because of its white lions. The latter are not albinos but a leucistic form, similar to the starling reported in this blog . We knew that to find white lions was very unlikely as most of them are now in captivity or game reserves nearby but we had driven through this area earlier on another journey and found it very attractive. It did not disappoint us. Fortunately, the river had water and we found lots of water birds, including a family of saddle-bill storks fishing at a stagnant pool. Further on, on another stretch of the river we spotted a pair of ibis and, while trying to confirm that they were the rarer purple rather than the more common glossy, I spanned the area a couple of metres to their left and I could not believe my eyes: a large leopard was lying down next to the birds! I was very excited, as I had never experienced such an accidental find! I believe that the leopard was walking to the river to drink at the time we appeared and its reaction was to crouch not to be seen! We waited and watched. After a couple of minutes, it stood up and walked to a small water pool where it drank for a couple of minutes and then, as it is often the case with leopards, it disappeared in the thicket. We drove back really excited by the find and, before reaching our camp, we had a fleeting sighting of yet another leopard well inside the thick bush! After a fruitless early drive looking for the leopard spotted near camp we decided to relax at our bungalow to take in the beauty of the Olifants river as we could lots of animals coming to drink and to graze there. That morning, apart from the usual hundreds of impala and dozens of waterbuck we could also see lots of greater kudu and a few bushbuck. However, our attention was focused on a couple of elephant families enjoying drinking and bathing. 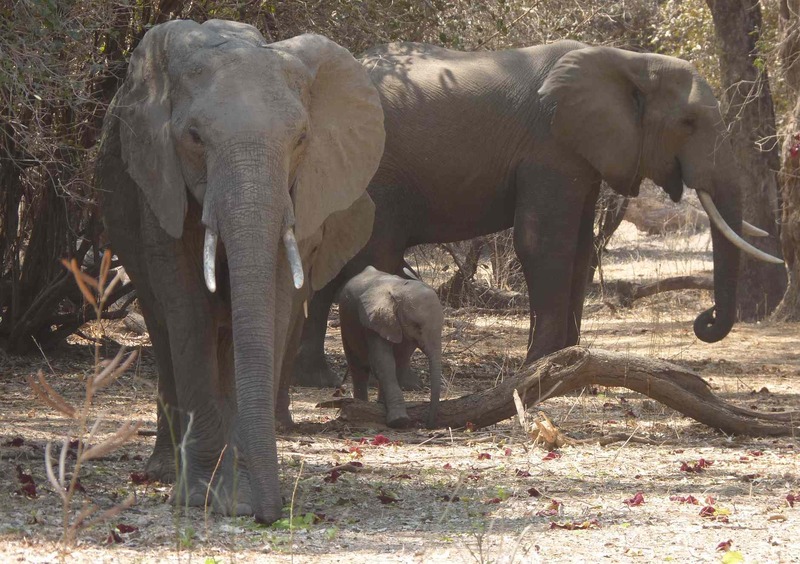 While busy watching I heard my wife saying, “the elephants are scared” and then I could hear their loud alarm calls. Immediately I heard her saying “there is a hyena walking behind the elephants towards the water” and immediately, “oh gosh, there is a leopard drinking also!” As I wanted to see it, she explained me where it was so I started looking and, after a while, I spotted it. After a while the leopard moved “it stood up” I said. “No” replied my wife, “it is still drinking”. We started to argue but then we realized that we were in fact looking at two different leopards on the river bed! The afternoon of our last day we spent it back at the Timbavati river. It was during this time and before arriving to a pan called Ratel that, lo and behold, a leopard was looking at us from a donga and, of course, it immediately took off before we could do anything, as usual and we could not see it again! So that was our experience in the KNP where we spotted nine leopards in a couple of weeks, a marvelous experience that we know it will not be repeated and certainly it will not be forgotten!. Interestingly, this was one of the few camps where people of all races were allowed during the Apartheid times! 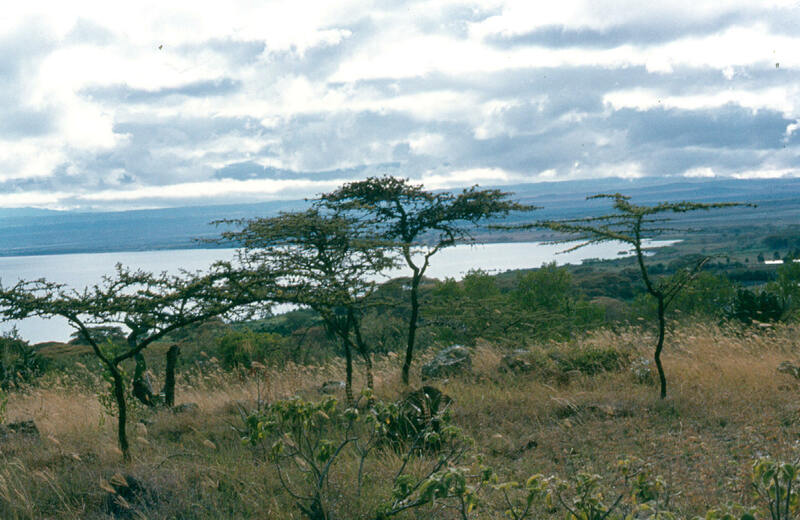 Back to Africa for a while while I develop another story from “Out of Africa”. Poor internet connection and farm work… are attempting against my productivity. I hope you agree with me that she was not only beautiful but well placed to see what was happening! Entering the Kgalagadi Transfrontier Park (KTP) we were given instructions on how to manage the place. Technically, we should drive at a maximum speed of 50 kph and deflate our tyres to 1.5 BAR to better navigate the severe corrugations. 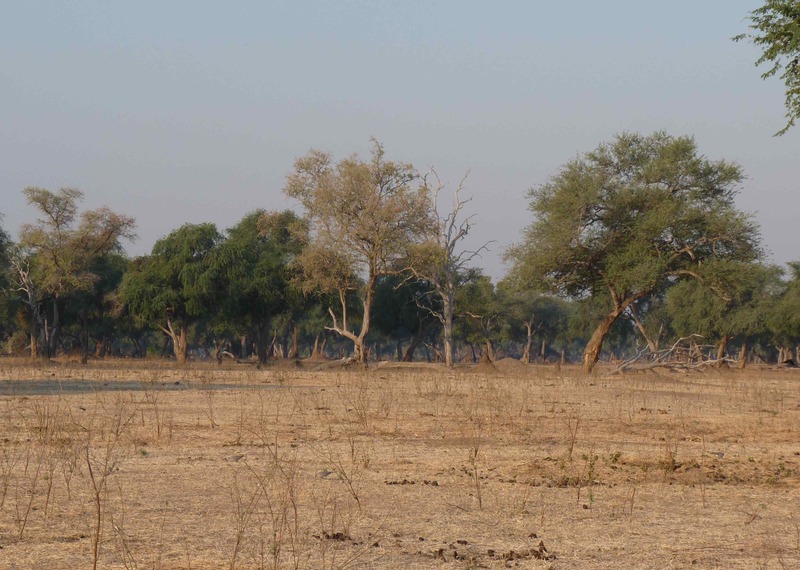 We were also advised to wait for the animals at the waterholes rather than drive long distances over this very dry park. In fact, despite my initial doubt, was useful because of the way the park is. On the South African side, the KTP has two basic roads: one follows the Auob dry river and the other one the Nossob dry river in a North to South fashion. The rivers and the roads that accompany them meet at Twee Rivieren where the main camp of the park is located. 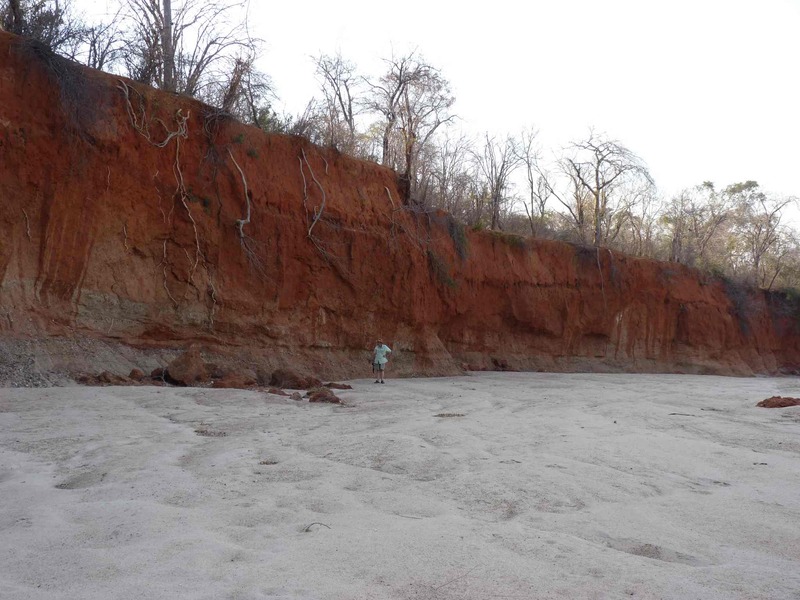 The dry riverbeds were not the expected sand rivers we see elsewhere but rather wide grassy valleys beyond which is the -inaccessible- Kalahari. Water for the animals is provided by waterholes that were sunk by the (Union of) South Africa to provide their troops with water in case South Africa wanted to use the area to invade South West Africa (Namibia). 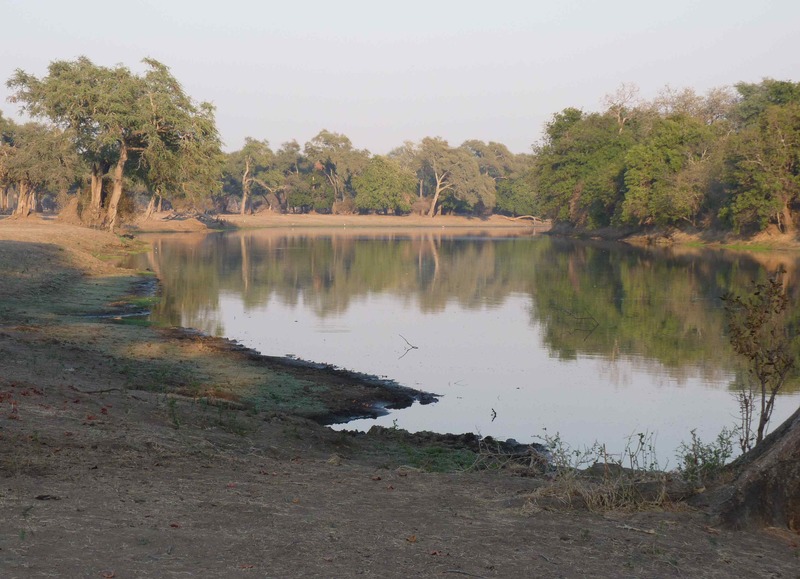 The waterholes are at roughly ten km intervals and most animals congregate around them. 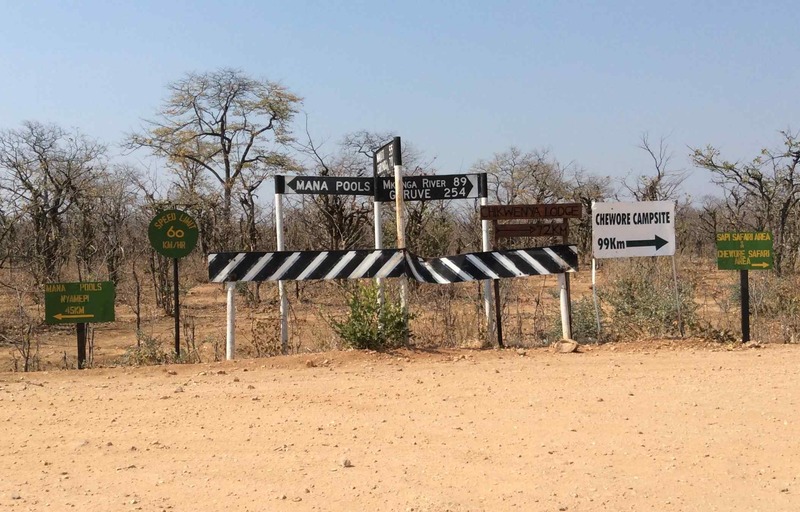 Wherever you stay, you tend to drive a lot over the same stretches of roads to go and come back to camp every day so the recommendation of “sitting and waiting” at waterholes made sense. In some you have a constant parade of herbivores such as gemsbok, wildebeest and springbok as well as large number of birds such as various pigeons, sand grouse, sociable weavers and quelea. Jackals were the main predators we saw. At other waterholes we waited long spells for something to happen to no avail. After a while of looking at an empty place I got bored and I could not help thinking that surely the animals were at the next hole! After waiting a bit longer, this line of thought became a conviction and my unrest grew to such a point that my wife needed to coerce me to stay using her strongest argument: “I am not cooking tonight”. After our stay in Nossob camp, on our way to Twee Rivieren, we stopped at yet another empty waterhole. As we had seen nothing in the previous two we had visited, we were looking carefully at the surrounding area as well as to the actual water hole. I was the first to see it and, surprised, said “look, a hyena coming”. My wife looked and, as usual but rather excitedly, she corrected me “it is a leopard” almost at the same time that I realized my error. A leopard it was! A large male, that walked passed us and, arriving at the water it crouched to drink to placate its thirst. After a few minutes it walked off, marking a few key spots as it went slowly up the bushy riverbank. We followed it and saw it on and off as it walked up the dunes until we did not see it anymore. The leopard withdrawal followed closely by gemsbok. At that precise time a car arrived to join us. When they asked what we were watching and we told them that a male leopard had just moved off from the water three minutes ago, they were stunned and I did not blame them and I did not dare to show them our pictures either! The leopard fleeting visit not only helped us to consider the KTP a great place but also further justified the waiting strategy at the waterholes. It also stressed the fact that a few minutes can make a huge difference and there is no amount of planning and organizing that can replace your good luck! The Auob last flowed in 1974 and the Nossob in 1964. 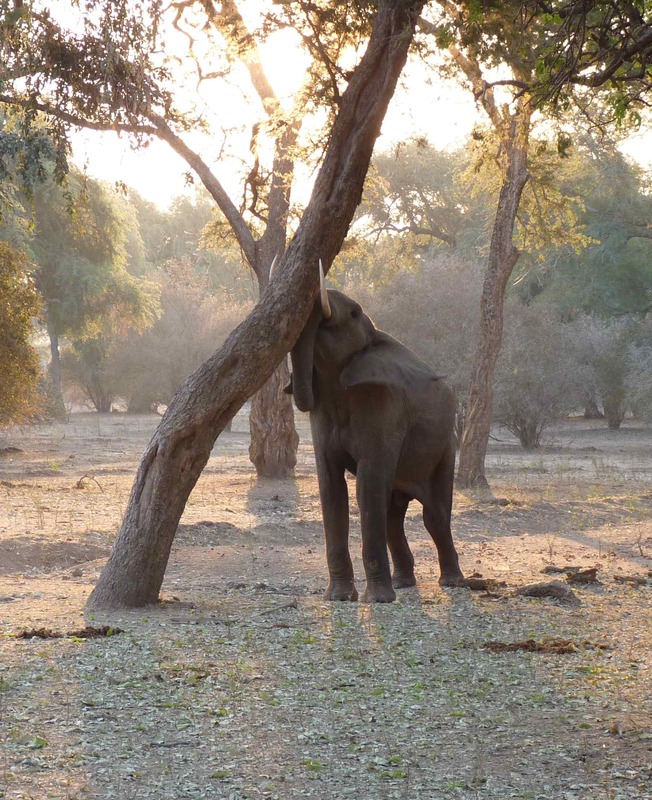 Having stressed the negative consequences of a drought like the one the Kruger National Park is going through in the previous post (3/10/16) it is now the time to mention one of the positive aspects of this situation for the game-spotter. 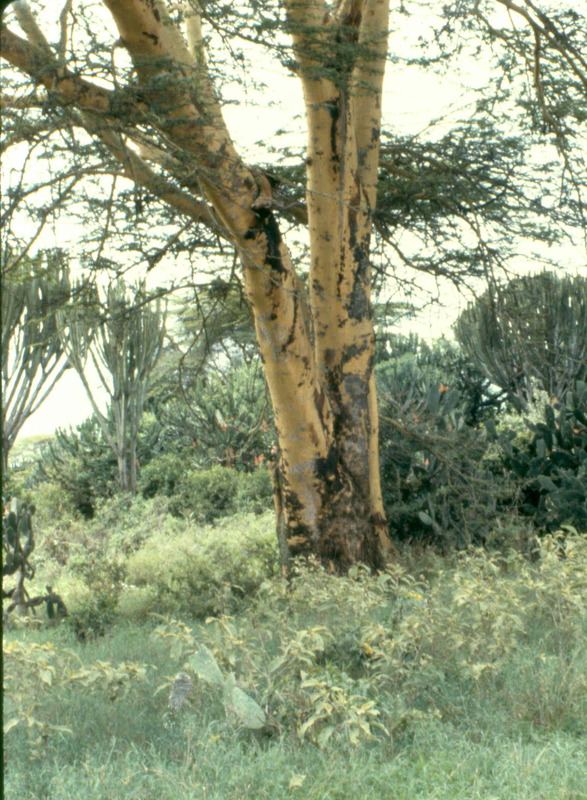 The lack of grass transformed the thicket into a very dry wooded savannah. 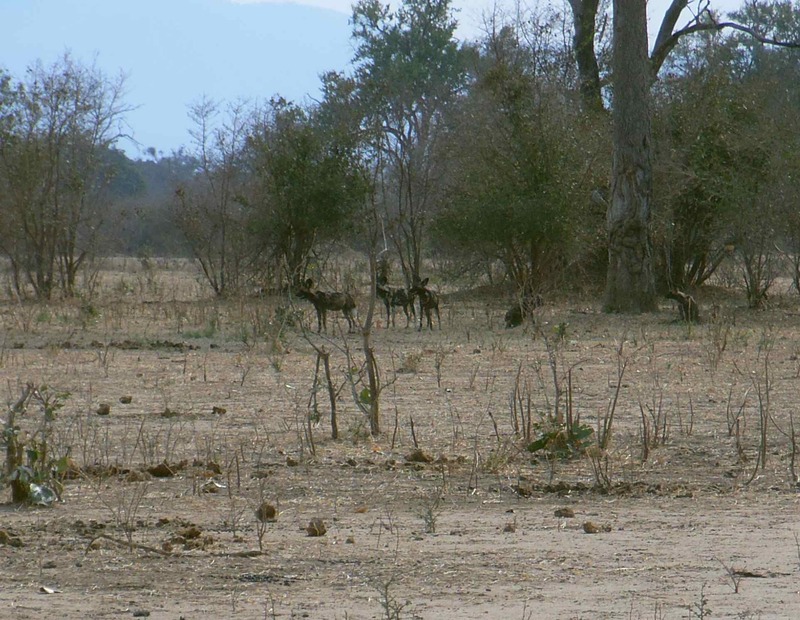 In addition, the riverine areas that usually offer some cover to herbivores were now denuded from a lot of the vegetation so there was a lot of visibility. Most animals were near the river as most need to drink regularly so most of the “action” took place there. Even without the assistance of the existing apps we were able to find lions and leopards in numbers that are usually unthinkable, even for my wife. 11 September 2016 will go down in our bush lore as the day of the cats! In the morning, during a 20 km drive we spotted three different groups of lions, two separate leopards on trees and two walking by the river! 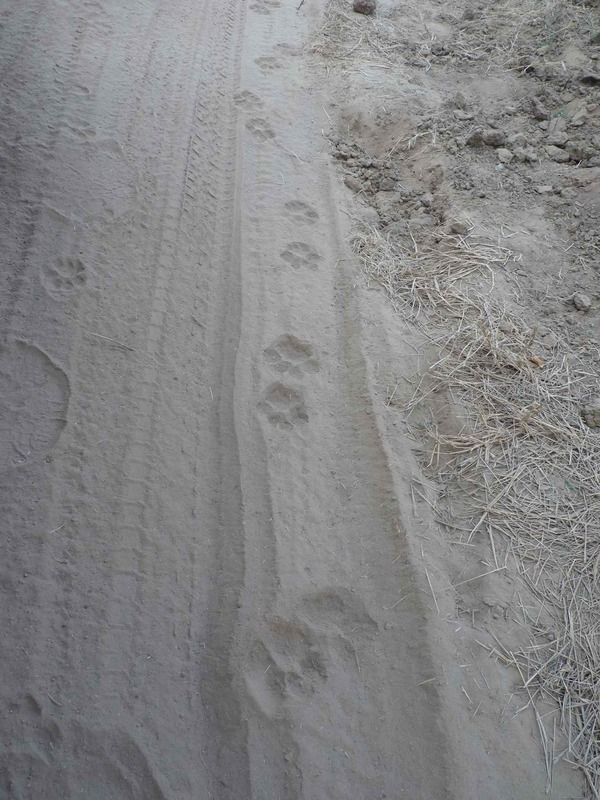 We almost did not stop when we found a hyena walking by the road! As if this would not have been enough, after (my) siesta time, we revisited the nearby causeway over the Lower Sabie River to see if anything remained of the zebra being fed on by crocodiles of the day before. We crossed the bridge but found no trace of the zebra. As usual, there were a few cars on the bridge so we decided to turn around and, after re-crossing the bridge, to do a short drive following the river to enjoy the evening. By the time I had turned the car around all other vehicles had gone and we were on the bridge on our own, a rare occurrence. As the bridge is narrow, I was paying attention to my driving when, just before ending our crossing, I heard my wife saying, “Look!” A leopard had just appeared out of nowhere on the shore of the river. I switched off the engine and we both grabbed cameras and took the pictures we could as the animal did not stop much and never took notice of our presence while it crossed the bridge just in front of us! The first picture of the leopard. It was a large male and its right hind leg was apparently painful as it was limping. The sighting did not last more than three minutes and, by the time a few vehicles arrived to the bridge (that we were totally blocking), the leopard had moved off and it was hardly visible, although it had been spotted by others! I decided to move on and “share” our find only to realize that the car was dead! Suspecting a disconnected battery terminal I got out of the car to fix it. Although it did not take much time to get the car running again, by the time we moved off, the leopard had already disappeared and I was probably the least popular driver in the park! Although the 11th was our most productive day, over the next couple of days we continued to find predators. We also continued to have problems with our battery! So, when I needed to get out of the car to fix it next to a group of lions, we decided that it was time to take the car to Skukuza for a long-lasting solution! This we got from one the very helpful camp mechanics that, with the right spanner, tightened the nuts and ended the problem for good. Luckily the lions were more interested in their romance than in the bushsnob fixing the battery! Feeling now safer, on the way back to Lower Sabie Camp my wife (who else? ), continued to excel and spotted more cats! 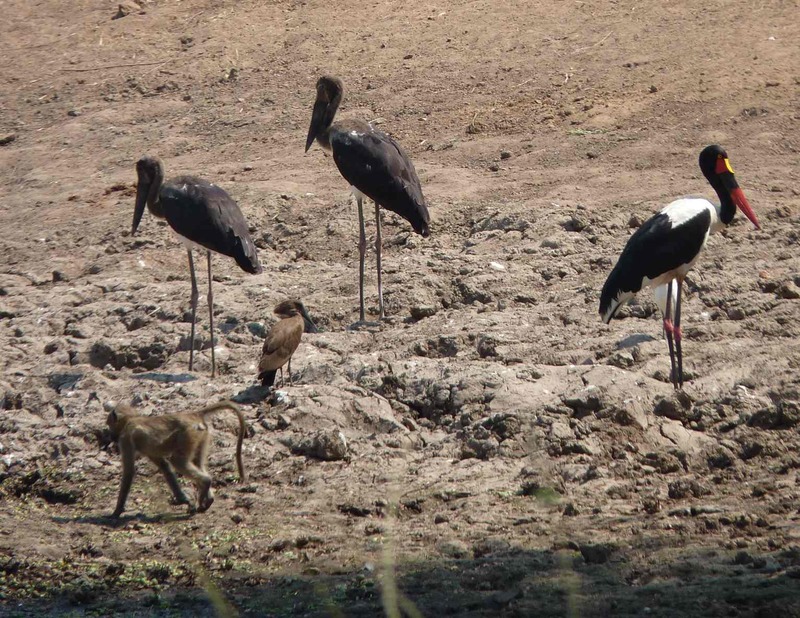 The first sighting took place after we both noticed a few vultures on the ground by the Lower Sabie River. While I was watching them my wife noted that the cause was a buffalo kill where two magnificent male lions were feeding! Frankly, I would not have seen them. As road speed limits and gate closing times in the park are very strict, we decided that we needed to start our journey back to arrive to our camp in time. Our planned timely arrival only lasted a few kilometres, until my wife spotted yet another leopard! This time it was a female sunning itself on a rocky outcrop overlooking the river. A beautiful sight worth risking a fine from the park as we both agreed. It was beautiful to watch the animal with the evening light and we stayed there until it decided to move off and we lost it. Aware that we were late, we prepared our usual excuse of engine malfunction (this time it was quite close to the truth!) and returned. Luckily we just managed to squeeze through as the gates were being shut! That night, staying at one of Lower Sabie’s tents paid off. 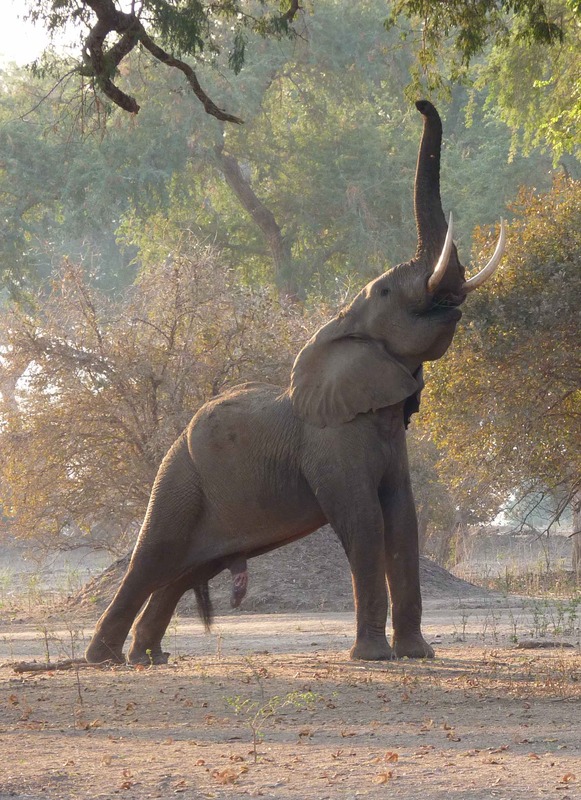 Despite the rather sad absence of hippo grunts, the elephants were noisily feeding nearby and they were very vocal. Later, several lions started roaring up and down river, their loud calls amplified at night and the chorus continued well into the night. At some stage, a leopard joined in with its own regular grunts ending in an amazing ensemble that we do not recall having heard before. We were late sleeping as did not wish to miss the wild concert!